Fitting into a new culture and environment can sometimes prove to be extra challenging, especially if you’re a senior moving to a new country. 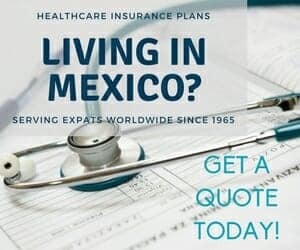 It’s an experience expats/snowbirds go through each year as increasing numbers decide to retire in sunny Mexico. Therefore, being familiar with certain nuances or quirks, or even what to expect as a newbie can help with your learning curve. Here are just some more of the surprising things about Mexico! Grocery stores – Next time you make a trip to the local grocery store (Ley and Soriana are the most popular in Mazatlan) remember to tip the baggers! Those teenagers and seniors working there are not paid by the store. They have to provide their own uniform and rely completely on tips. Two pesos per bag is a common practice. Same thing for the parking “attendants” who, with their cautious whistling as we back up, keep us accident-free! Truthfully, I always give the seniors a little more than the youngsters simply because…well, there for the grace of God. All those little stores – I don’t know why there are so many little stores (other than possibly low startup costs), but I can tell you that if you are on the hunt for something specific, you will likely find it in one of these places. Take for example office supplies. Did you know that the “Papelerias” (paper shops) sell mostly school supplies & wrapping paper, but not computer paper? And that where they sell “didactica” supplies there are teaching supplies such as maps and classroom signage, but you won’t find pencils? And if you ever see a sign outside a store that says “copias” (copies), it can also mean it’s a “cyber” (internet cafe) but it’s not a place to order business cards (go to an “imprenta” for that). Keeping all this straight is sometimes exhausting. But all over Mexico in every village and town, you will find these little specialty stores where some will only be selling cell phone covers while others, just hair accessories. Of course, if shopping like this drives you crazy, mega stores like Walmart (pronounced “wall-mar” here), Office Depot and Sam’s Club can be found throughout Mexico for your convenience. Advertising – You’d be hard pressed to not have noticed all manner of vehicles running around the city advertising their goods on a decibel level sometimes equal to an F15 fighter jet. Makeshift loudspeakers precariously balancing on the roof of a tiny ramshackle car are not unusual. They announce the sale of all sorts of goods. Motorcycles are not immune to this concept nor are the newspaper vendors on bicycles. Another unusual practice is to rent out wall space to an advertiser. So next time you see large, brightly colored signage on a garden wall or side of a building, don’t assume that’s the store location (as I did when I first got here, aimlessly looking for the front door to the establishment, LOL!). Sizing – I am not known as being a petite lady, but when shopping for clothing you’d think that I was the only one in Mazatlan that is Plus size! Clothing here is very difficult to find for us vo”lump”tuous gals. Or maybe it’s that it is a generally accepted practice to look like a sausage when squeezing into an “XL” (which equates to an “M” up North). In Mazatlan’s Centro, near the mercado (public market), there’s even a street of stores which I refer to as “sausage row” where they sell all styles of ridiculously tight dresses and pants. And sometimes, if you are lucky and do find something, you may hear the sizes being referred to as “whoppers”; maybe not politically correct, showing that Mexicans have a great sense of humor and rarely take themselves seriously! So my advice to us curvy gals is to bring down what you need or use a “mule” (a friend or acquaintance that will bring it for you). Bulk buying – This concept is starting to catch on in some places but it is a slow process. It seems that even if you want to buy a large quantity of something, the cost is still a multiple of the single price. And going to the source doesn’t always mean it’s cheaper. Recently I discovered where to purchase tuna chorizo and tuna burgers directly from the supplier. The beautifully laid out store was well stocked and very organized with prices on everything, but it turned out that it was cheaper for me to buy packages of two burgers at a time, than a bag of 10! Even at the mercado or other places where you can barter, many vendors are not always willing to give you a “bulk” buying discount. On the flip side, Mexico is a great place to buy things like ONE screw or ONE bandaid. Because sometimes, that’s all you need. City Buses – You may have noticed that some drivers have gone to great lengths to personalize their buses. They decorate them with family names, photos and multiple tributes to Mexico’s religious icon, the Virgin of Guadalupe; enhanced with the requisite dingle ball fringes and even sparkly glitter! It’s their way of honoring their religion, loved ones and keeping everything close to their heart. Don’t be surprised to find “no spitting” signs on some of the old city buses (no pone escupa en el piso). Yes, most of the old buses are being phased out, but you can still find some comical notices. Have you ever noticed that when passengers sit on the outside seat they won’t move over to the window if someone wants to sit there? People simply adjust themselves a little sideways so that the other person can get by. This action would probably not bode well up North. There would be a cranky passenger or two speaking up. Note: If the bus you’re on does not have a bell (“timbre”) to indicate you want to disembark, then just say “baja” (pronounced ba-ha) to the driver and he will stop at the next safe spot to do so. The numbers game – Phone numbers here are normally recited in groups of two. For example, we would say 669-123-4567, but here it is said as 6691-23-45-67. Another odd habit is when referring to calendar time. Instead of saying a week (una semana), they say “ocho dias” (8 days); or “quince dias” (15 days) for a two week period. Another anomaly is that street addresses start with the name of the street followed by the number. Keep this in mind when using your GPS system or Google maps or even when giving your address to a Mexican person; always start with the street name. Meals – The main meal in Mexico is usually eaten more or less around 2pm. Shortly before that is when you’ll see long lines at the “pollo asada” (grilled chicken) place or when the corner taco stand is buzzing with activity. Tacos, pozole (a type of soup) and chicken are the favorites. It’s also the reason why many businesses shut down for a couple of hours in the afternoon and resume again around 4pm. So keep this in mind when you’re thinking of dropping by a business or have important banking to do (they may be a little short staffed). Barbacoa – sounds like but does not mean BBQ, it means a dish of slow roasted mutton or lamb. Libreria & Biblioteca – the first is NOT a library but a bookstore. The latter is the library. Cafetera – sounds a lot like cafeteria and yes, it almost is, but it really just means the place for coffee. Señor – yes, it does mean “mister” but it can also be referring to God or Jesus. Papa – sounds like the word for father, however, without the accent on the last “a” it actually means potato or Pope. Comida – means food in Spanish but in Mexico, it also means “meal” (primarily the one that happens at 2pm). EXTRA: I may be old school but I still use the word “cool” in English when describing something or someone. So I was curious what the equivalent would be in Mexico and guess what? It’s another confusing one! The word for “cool” (in the context I use it) here is PADRE. And yes, that also means “father” in Spanish, LOL! Although the eagle and serpent are very representative of Mexico, it’s actually the Xoloitzcuintli (Xolo for short) that is the national animal. A Xolo is a Mexican hairless dog that dates back to early pre-Colombian days. Piñatas are believed to have originated in China where (it is said) Marco Polo brought the tradition to Italy before it made its way to Spain and then over to the new world. The ones seen at Christmas time with the 7 cones represent the seven deadly sins. Winter temperatures in Mazatlan can get quite chilly. In fact, in 2008, it went down to a frosty 2C (35F)! This season, 2018/2019, has seen an unusual amount of chilly days. A result of global warming perhaps? Mexico has a rapidly growing robotics industry. In 2015 alone, robotic sales tripled and in recent years there has been an unusually high number of engineering graduates per capita. Cesar Salad was invented in Tijuana by an Italian American who owned a restaurant there during the Prohibition years. Excellent information! I guess falling down at the front of the bus is not the best way to tell him you want off lol.